MB transforms any operating machine into a real crusher, capable of processing any inert or natural material directly on site. With remarkable savings on transport costs, equipment, fuel, it repays the purchase in no time, multiplying the profit in the long-term. The widest range in the world, continuously developing and applicable to any operating machine starting from the 3-tons model up to 70 tons model. Fast and practical as an accessory but at the same time with performance as good as a traditional mobile crushing machines. 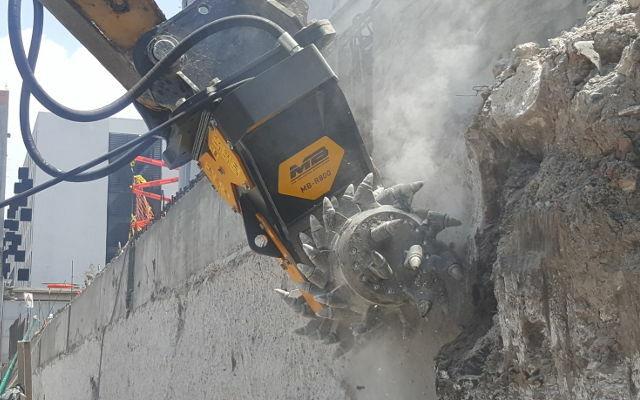 With MB Crushing Bucket, the material is recycled on the spot and put back immediatly into the working cycle, avoiding landfill costs and transportation cost, saving time and money and ultimately removing the problem of landfill. 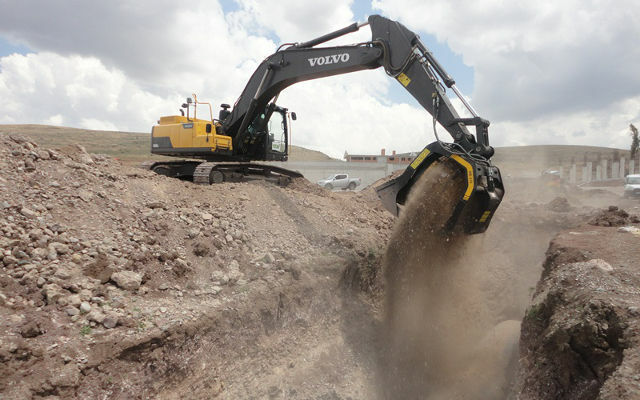 Particularly manageable, it easily adapts to large and small working sites of any type (road construction, reclamation, demolition, excavation, ...). It reduces the use of heavy-duty mechanical vehicles and the number of operators. It allows recycling in respect of the environment and of the territory and at the same time offers savings by reusing materials destined for waste. Perfect for the selection of natural materials, both and after the crushing phase. Suitable for any applications requiring hard materials to be cut or ground away. 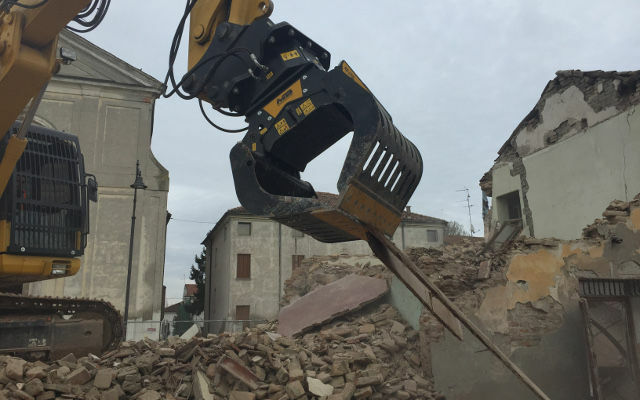 Designed for selecting and handling demolition materials.